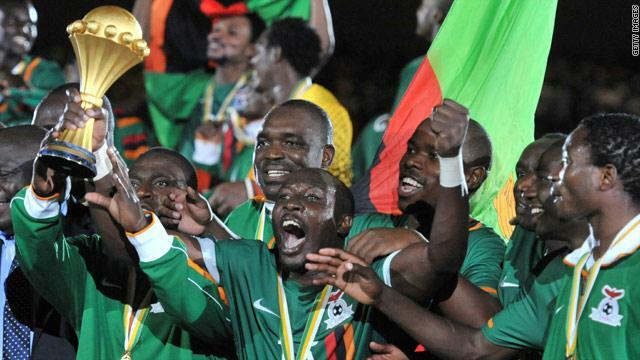 Zambia coach Wedson Niyrenda says some players became too “big-headed” following their 2012 Africa Cup of Nations victory. Chipolopolo surprised many by beating Ivory Coast on penalties in Gabon but then failed to get past the group stage at the next two editions. “Some of the players thought they were untouchable,” he told BBC Sport. The 47-year-old coach insisted that his comments will not affect his relationship with the players in his current squad that also played in 2012. “It is not all of them that were so big-headed and it is all about recent performance and discipline,” he explained. Niyrenda says the attitude of all his players is now the key to success. “So it is all about attitude – the hard work was no longer there,” he continued. “How can other nations win it back-to-back like Egypt? It is because they have been disciplined. “Our biggest problem here is the satisfaction levels – most of our players win four games in a row and are happy, they are too satisfied with very little things. Zambia failed to qualify for the 2017 Nations Cup finals in Gabon and are in a group alongside Mozambique, Guinea-Bissau and Namibia to decide who advances to the 2019 edition in Cameroon. They are currently third in their group for 2018 World Cup qualifying with a single point. Nigeria are top of Group B with six points, Cameroon second with two while Algeria are level with Zambia after two matches with only the group winners earning a place in Russia.